Budems Klasik live broadcasting from Turkey. 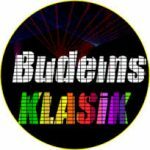 Budems Klasik is a radio which is pretty much highly filled with classical music content’s for a radio station that is live 24 hours a day with minimal advertisement. with programs that includes day to day classic music. Budems Klasik is one of the most famous online radio station on Turkey.